​After 2 years not being able to come to Holland, Wei Qifeng is finally back at our school to give another wonderful, intense and inspiring workshop! 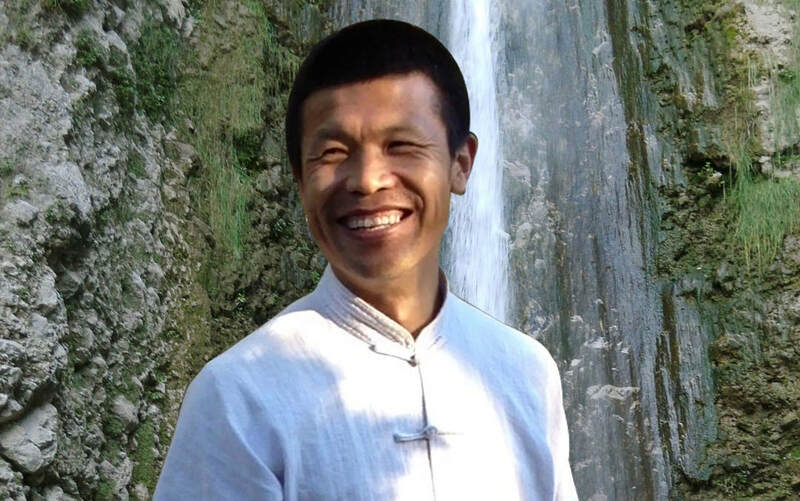 This popular, highly praised charismatic Zhineng Qigong expert transfers his rich and deep knowledge to others with ease and humor. He will take us on a deep and beautiful journey to discover your true potentials and self-healing powers. As no other he senses what the group needs. Ming Jue is the pure consciousness or pure self-awareness state, wich is the fundamental existence of the (true) self. It is the level of consciousness that goes beyond all feelings, thoughts, ideas and emotions. It is a state of very pure and stable consciousness directly reflecting itself. When our consciousness is more pure and stable, our lives will be more harmonious, healthy and free. In this workshop you will learn how to use the consciousness from the Ming Jue level consciousness for Qigong practice, healing and daily lifeto create a high-level harmonious state of being. Expect a balanced combination of beautiful lectures and deep meditations, supported by several Qigong exercises. This workshop is given in English and is suitable for everyone (beginners, advanced practitioners and teachers). This workshop will expect to quickly sell out (35% is already booked by inside pre-sale). So don’t hesitate to register for this workshop to enhance and deepen your Qigong or meditation level and to enrich your life. Click here for more information about Wei Qifeng (english). Click here for more information about Wei Qifeng (nederlands). Price: € 425,- (2 days € 225,-) including bio-veggie lunch, snacks, fruits, drinks and gifts.